The full course of the preparation of each series "Boralin" is four packs of 0.5 liter. Each bottle is accepted under the scheme with the enclosed measuring cup for 7 days. Made 10 days off and start the next, in the same scheme. So the four tested for two months. If necessary, the full course may be repeated no earlier than 1 month pause. Particularly suitable in cardiovascular diseases associated with the accumulation of atherosclerotic plaques and impaired blood supply to the heart muscle (coronary heart disease). 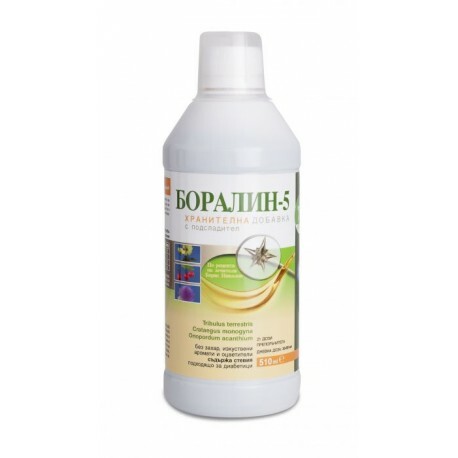 In cases of elevated blood pressure without the established origin apply preparation Boralin-5. The same product is used against a wide range of cardiovascular diseases. If there is evidence that the main factor of hypertension is stress or depressive state, we recommend a course Boralin-4. Due to the extract of St. John's wort, Boralin-4 does not apply in combination with antidepressants. 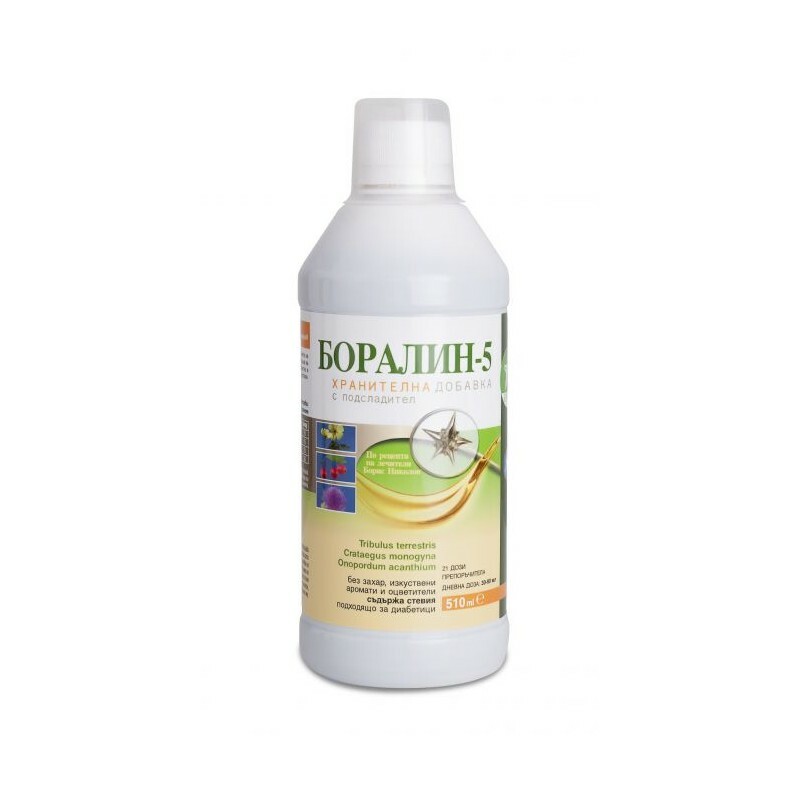 If the cause is blood kidney or liver disease, the most suitable Boralin-8. The improvement of the blood supply to the heart muscle and lowering the risk of thrombus formation is crucial in the treatment of a large number of cardiovascular diseases. Because of the strong impact Boralin-5 is not recommended in the acute period immediately following myocardial infarction. Its use is appropriate, together with prescribed drugs if your doctor determines that the patient is stabilized. In case of difficulty supply to the limbs, patients reported a reduction and disappearance of pain, numbness and characteristic "coldness". Varicose veins do not expect a visible vein harvesting. The complete course is 4 packs of 500 ml. Each bottle is taken on a chart with the measuring cup attached for 7 days, then rest for 10 days and starting next, according to the same schedule. Four packs are accepted for 2 months. If necessary, the full course of reception may be repeated not earlier than one month's pause. For prophylaxis, 2-3 bottles per year are sufficient. For stomach problems, take the 15-minute schedule before eating. For children and adults under 35-40 kg, the dose is reduced by half. The phyto-therapist Boris Nikolov is the first to be aware of the properties of Tribulus Terrestris herb. His research describes in the book "The Cholesterol Plate Killer Plant".